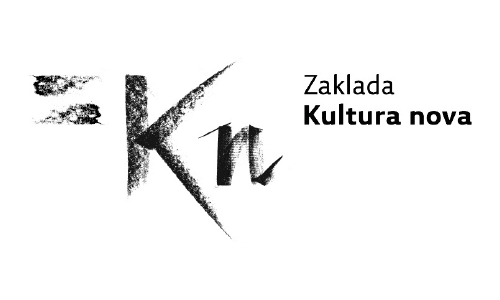 Kultura Nova provides professional and financial support to civil society organizations (CSOs) in contemporary arts and culture in Croatia. As a grant making foundation it creates various support programs through which it improves organizational capacities for arts production and distribution as well as for independent cultural spaces management, encourages the development of new cultural and artistic projects, strengthens cultural cooperation on the European, national, and local levels, supports audience development and creates better conditions for organizational and artistic remembrance. It also develops its own educational programs in cultural management for representatives of CSOs. In order to create arguments for better understanding of the complex position of CSOs in culture, creation of long-term strategies for their activities and building of Foundation’s new projects, Kultura Nova conducts various researches in cultural policy and works also in the area of cultural policy-making. Kultura Nova has a strong commitment to exploring the gap between cultural democracy promise and public culture realities and assesses how active engagement in culture and participatory agenda can contribute to overcoming this gap. The concept of “audience development” is one of the cultural policy responses to these challenges. Through understanding audience development as a multifaceted concept that is correlated with the context and specific organizational structures, principles and values, Kultura Nova sees ADESTE+ as a great platform for peer to peer exchange of existing European examples of audience development strategies. In line with the objective of providing more participatory approaches in definitions and provisions of cultural opportunities, we believe that ADESTE+ can productively serve for joint venture activities thus contributing to the process of development of new narratives of cultural democracy rooted in the ideals of equality, solidarity, collectivity and public or common prosperity.